Users can save many hours to create great logistics network diagrams by starting from an existing template and using abundant built-in symbols next to the canvas. Download and modify this template for your own use. 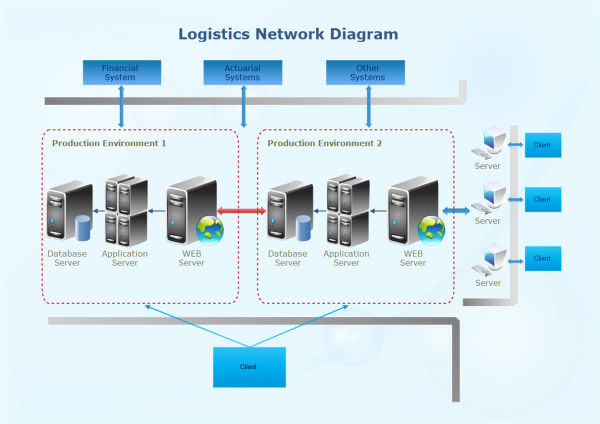 Figure out why Edraw is a great tool to create logistics network diagram here. Try Edraw FREE.